InterCloud9 powers a robust dialer system that focuses on lead generation and contact management for the merchant processing industry. We truly grasp what it takes to excel within the merchant processing service industry, and our voice broadcasting and predictive dialer solution has a track record of helping merchant processing companies add growth to their bottom line with live lead transfers. In today's highly competitive merchant services industry, it's important for companies to not only focus on customer needs, but also, to increase the rate and efficiency of their calling as a way of driving more chances for a sale. By bringing the power of a automated dialing system such as a Predictice Dialer or Voice Broadcasting and the ability to generate live lead transfers into the call center, it becomes possible to reach more people in a shorter time period, regardless of the types of merchant service products being offered. Many different campaigns can be run from the dialer at the same time. This feature allows you to coordinate campaigns by time zone, team, sales agent or any other combination you can possibly think of. With the advantages in productivity interCloud9 can be personalized to address specific prospects giving the merchant service company a competitive advantage over others in the industry. The merchant services industry is successful or not based largely in part to the success of its call center operations and its ability to generate targeted live transfer leads. At the heart of this operation is the cloud based call center predictive dialer. The more efficient and effective a predictive dialer system is the more agents can be on the phone. The success lies in the numbers, which means it is essential that the call center operations be efficient and effective. For added call center solutions our predictive dialer platform has both predictive and power dialing capabilities, so customers can select which mode best fits their needs. The interCloud9 calling solution will not only increases your call volume, it also gives you a great way to track your agents call time with reporting capabilities, rework lists, tie in with your favorite CRM applications, and much more. InterCloud9's calling solution is scalable for an unlimited amount of seats or even for the smallest number of agents. 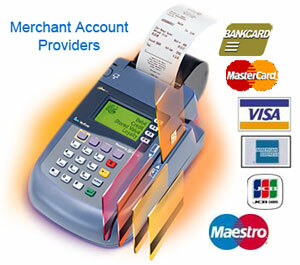 Call handling is a very important part for the success of merchant processing companies. By being able to efficiently, and effectively handle phone calls trough our built in CRM and call distrabution platform, the merchant service company can pull ahead in the competitive and ever changing marketplace. A predictive dialer solution eliminates the need to manually dial through numbers searching for a live caller. Instead of having agents go through lists trying to connect to a live caller, insurance companies can add a predictive dialer and increase their live call production up to 400 percent. With this improvement, chances of a sale dramatically increase. By choosing interCloud9's predictive dialer, forward thinking merchant processing companies are able to add financial growth to their company's bottom line and drive high quality prospects looking for new insurance opportunities.